The real-world power of economist Michael Murray’s teaching is on display everywhere his former students go. Take, for example, Analysis Group in Boston, which has had an active alumni connection since its co-founding by trustee emeritus Bruce Stangle ’70 in 1981. Making things click for generations of Bates students is why Murray, the Phillips Professor of Economics and a member of the faculty since 1986, has won the 2017 Kroepsch Award for Excellence in Teaching, the college’s top teaching honor carrying a $5,000 prize. As Hughes’ anecdote indicates, one of Murray’s courses (he’s taught 16 different ones at Bates) is econometrics, a notoriously difficult course at any college because it asks students to use math and statistics to grasp the workings of economic systems. Students don’t just rave about Murray’s ability to communicate econometrics. They say he even makes it fun. “He made complex concepts enjoyable and interesting to learn,” says Sarah Centanni ’17 of Hingham, Mass. It’s a manner that studiously avoids what he calls “black boxes,” which symbolize memorizing. In his book and in his classroom, Murray instead tries to give his students an understanding of econometric theory, rather than simple proficiency in using the various tools of the field, including econometric software. With that approach, he’s passing on a maxim from his own school days. “When I did not understand some material during the course, he talked with me for over an hour until I got it,” recalls Shelby Rader ’17 of Duxbury, Mass. 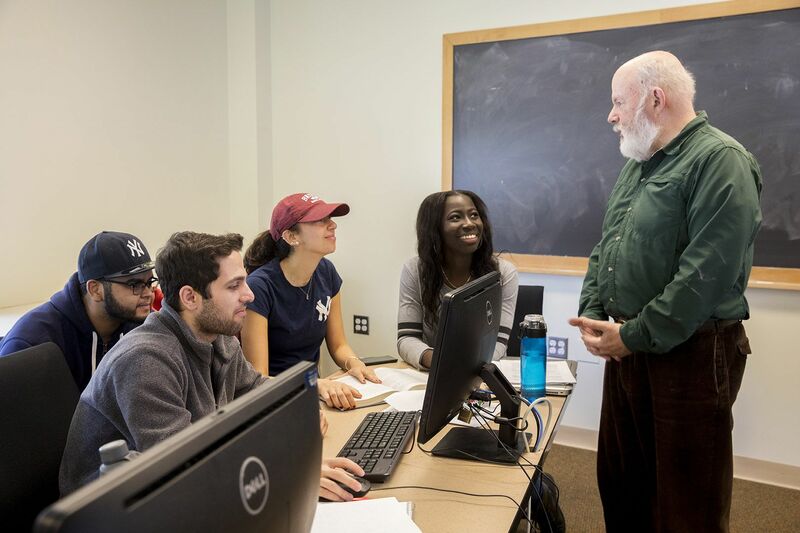 In courses like econometrics or statistics, an array of software — STATA, Eviews, R, or SPSS — can crunch right through problems that Murray is trying to get his students to understand. 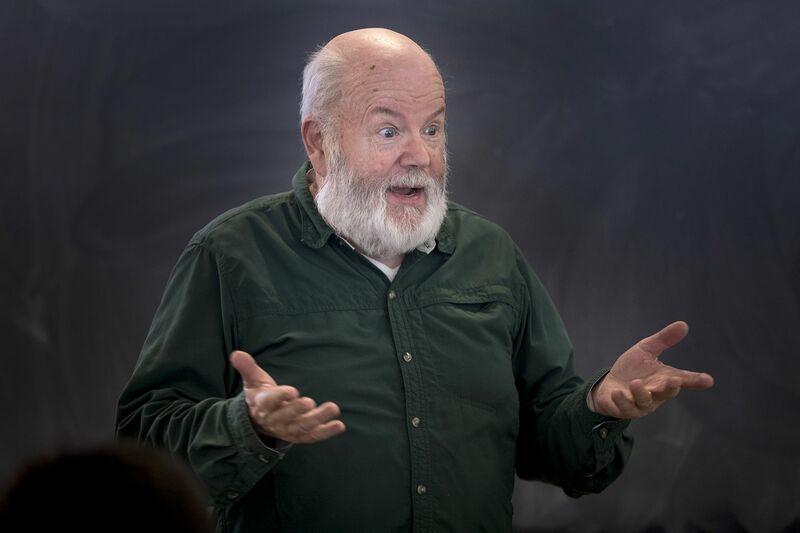 Hughes, the college’s Sowell Professor of Economics and Murray’s colleague since 1992, says the stakes are high when it comes to teaching topics like econometrics or statistics, which he teaches. Understanding doesn’t come cheaply, in terms of Murray’s time investment. Students repeatedly mention long office hours, three-hour study sessions before exams, and the time he drove to Bates from Portland after returning on an evening flight in order to hold a 10:30 p.m. study session. Students and his colleagues also routinely praise Murray’s enthusiasm in the classroom. Actor that he is, he nevertheless disagrees that he’s playing a part — an econ version of Dead Poets Society — as he enthuses about this or that econometric model in a Pettengill Hall classroom. Murray recalls teaching at the University of Virginia in the 1970s, where he had two sections of an economics course, each with 600 students. There, “the skills I use in theater are very valuable. I can project my voice. I can project my presence. I can move in ways that will hold people’s attention.” In those settings, “there’s a point at which teaching has become performance,” he says.